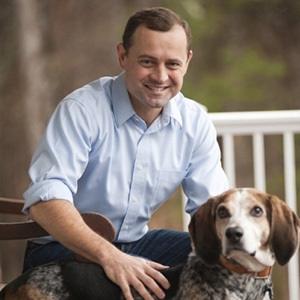 Former Congressman Tom Perriello is launching a new political action committee, New Virginia Way, to support the next generation of Virginia leaders. The PAC will focus on supporting candidates who advance bold ideas that address seismic threats from corruption, hate, structural discrimination, and automation. The inaugural New Virginia Way project is a dedicated fund to support the re-election of the new class of Delegates—dubbed the “Clean 16” for their willingness to reject campaign contributions from many corporate special interests, including companies they are tasked with regulating or overseeing in the legislature. New Virginia Way will be co-chaired by a diverse group of next-generation leaders in Virginia, including Tara Gibson of Planned Parenthood of Virginia; small business owner, Air Force Veteran and former candidate for Delegate Donte Tanner; Alexandria Wheeler, community organizer with VA-BLOC (Black Leadership Organizing Collaborative); Maggie del Castillo of the National Latina Institute for Reproductive Health; and, Kellen Squire, a UVA Emergency Room Nurse and former Delegate candidate. “Our plan is to make sure that what we saw in Virginia in 2017 is the new normal – an electorate and set of candidates that look like all of Virginia and all of America,” said Maggie del Castillo.